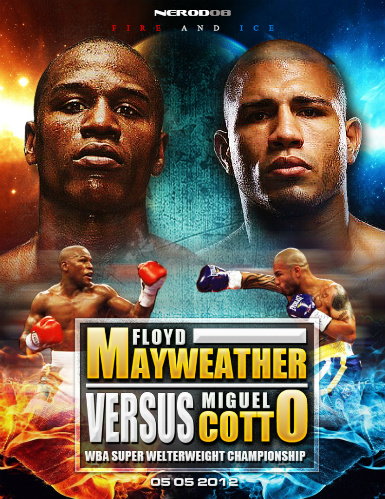 The event of this past weekend was the anticipated fight between Floyd “Money” Mayweather Jr and Miguel Cotto. The big fight was preceded by Saul Canelo Alvarez and future hall of famer Shane Mosley in which the former landed hard hitting shots throughout all twelve rounds to secure a unanimous decision against the veteran. The judges in the main event fight scored in a way that made it seem like it was a blowout victory for Mayweather but the fight was much closer than what the score indicated. Overall it was a very competitive fight as Cotto pushed Mayweather to the brink only for Mayweather to show that he can still move up in weight and still be victorious with his defensive prowess. If you missed out on the fight, then you missed out on a very good boxing Saturday as Floyd “Money” Mayweather Jr defeated Miguel Cotto to become the new WBA Super Welterweight champion in what was one of the toughest fights of his career. There is no word yet on if there will be a rematch. This entry was posted in Media, Sports and tagged Blended Entertainment, Boxing, Canelo Alvarez, Entertainment, Floyd Mayweather, Manny Pacquiao, Mayweather Promotions, Miguel Cotto, Shane Mosley, Sports. Bookmark the permalink. ← 5TH ANNUAL FASHION & FOOTBALL NFL DRAFT GALA Presented by EREDI PISANO and AUDI of America.